Becoming a special agent is not easy, and it shouldn’t be. Special agents are meant to exemplify the absolute best that the Federal Bureau of Investigations or Secret Service has to offer. A special agent needs to be disciplined, honest, intelligent and determined. There is a long list of things that could potentially disqualify someone from becoming a special agent, which means that only those that are uniquely suited to the position can join up. If you’re interested in becoming an FBI Special Agent, you’re going to want to make sure that you first meet the basic requirements. An FBI Secret Agent applicant needs to be at least 23 years of age and at most 37 years of age, according to the Federal Bureau of Investigation. 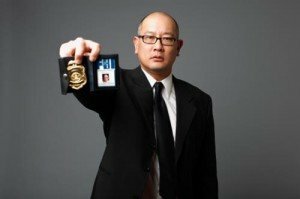 Those that wish to become an FBI agent but are older than 37 may request a special age waiver, but these waivers are usually only given to those in special circumstances. FBI special agents need to have a four-year degree from a college or university, which means that anyone interested in becoming an FBI special agent needs to pursue and obtain their degree. FBI Special Agents also need to have at least three years of experience in a professional field, a valid driver’s license, the ability to be reassigned anywhere within the FBI’s jurisdiction and finally to fit into one of the FBI’s five major categories. These categories are accounting, computer science, language, law and diversified. There are certain skills that the FBI also looks for in their candidates. While the FBI does not mandate that you have a specific type of education to get into the FBI, it is a requirement that you have a degree and it does help to have a degree in one of their major fields, such as accounting, computer science or language. The FBI regularly attempts to find special agents that have knowledge of foreign languages. Computer science and information technology is another very valuable field for those that are interested in becoming a Special Agent in the FBI. Prior experience with law enforcement or military experience is desired, and a criminal justice degree can also be a very useful type of education to have when applying for the FBI. Becoming an FBI special agent isn’t like other positions: once you apply you will be put on a wait list, and whether you are accepted will be determined by how desirable your particular set of assets are to the FBI at the time. You will need to undergo a thorough background check, and the interview procedures for FBI secret agents are quite extensive. You may also be required to obtain security clearance. In addition to this, the FBI will assess your personal skills to see if you are psychologically and intellectually correct for the position and whether the position will be good for you. Special agents will usually make an average of about $55,010 according to the Bureau of Labor Statistics. Those that are on the wait list for being a special agent or would like to move away from the field can consider becoming a detective in their local police department, a field which involves much of the same skills and requirements. Depending on the local police department, becoming a police officer can be far more accessible than becoming a special agent. Experience as a police detective will also look extremely good on an application to become a special agent, which means it is the ideal type of position to have while someone is waiting to hear back from the FBI.